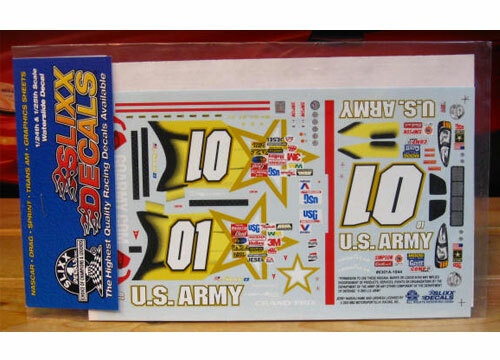 #01 Army Grand Prix driven by Jerry Nadeau in the2003 season. 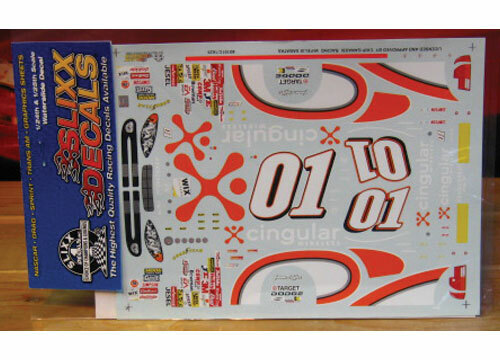 #01 Cingular Dodge driven by Jason Leffler in the 2001 season. 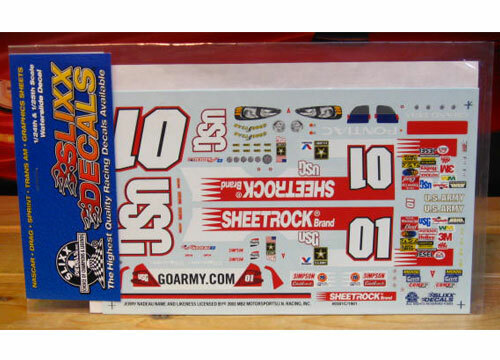 #01 USG Sheetrock Grand Prix driven by Jerry Nadeau in the 2003 season. 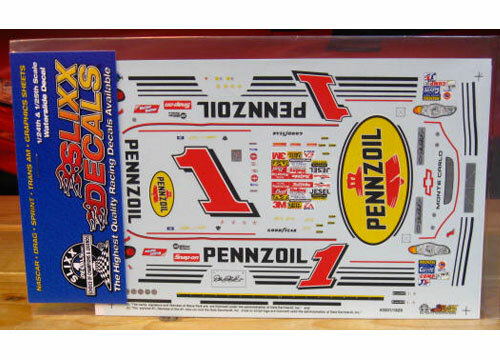 #02 Alltel Taurus driven by Ryan Newman in the 2001 season. 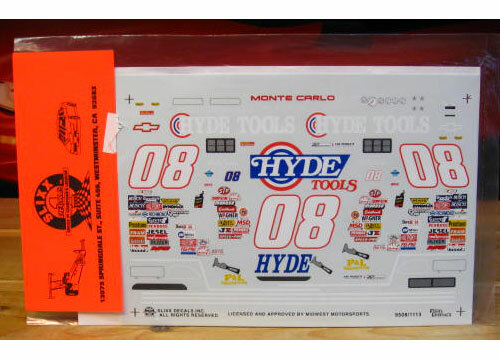 #08 Hyde Tools Monte Carlo driven by Bobby Dotter in the 1995 season. #1 Bob Evans Monte Carlo driven by Randy Lajoie in the 2000 season. 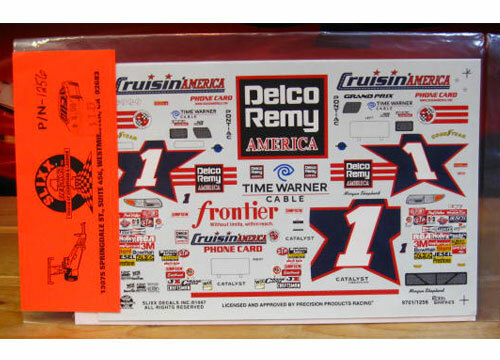 #1 Delco Remy Cruisin America Grand Prix driven by Morgan Shepherd in the 1997 season. 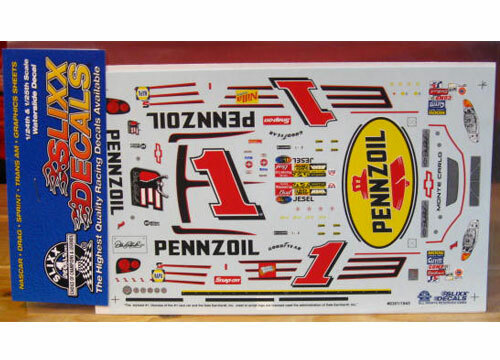 #1 Pennzoil Monte Carlo driven by Steve Park in the 2002 season. 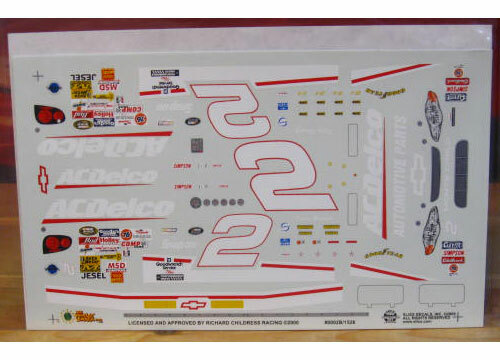 #2 AC Delco Monte Carlo driven by Kevin Harvick in the 2000 season. 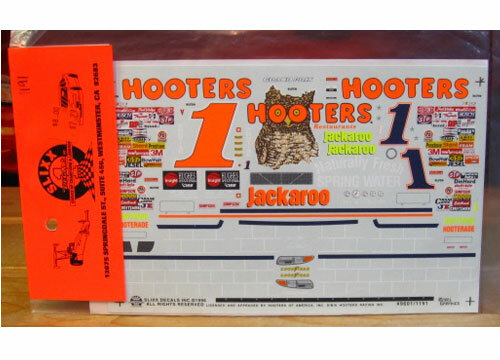 #2 AC Delco Monte Carlo driven by Kevin Harvick in the 2001 season. 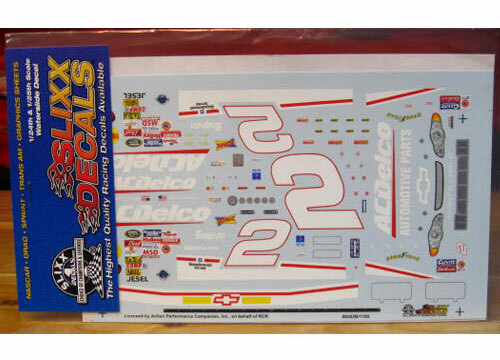 #2 AC Delco Monte Carlo driven by Kevin Harvick in the 2002 season. #3 AC Delco Monte Carlo driven by Dale Earnhardt in the 1996 season. #3 Goodwrench Lumina driven by Dale Earnhardt in the 1994 season. #3 Goodwrench Monte Carlo driven by Dale Earnhardt in the 2000 season. Very Rare! 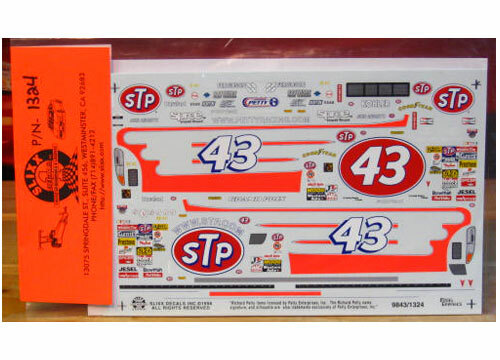 Slixx #3 Wheaties Monte Carlo driven by Dale Earnhardt in the 1997 "The Winston"
#4 Kodak Advantix Monte Carlo driven by Bobby Hamilton in the 1999 season. 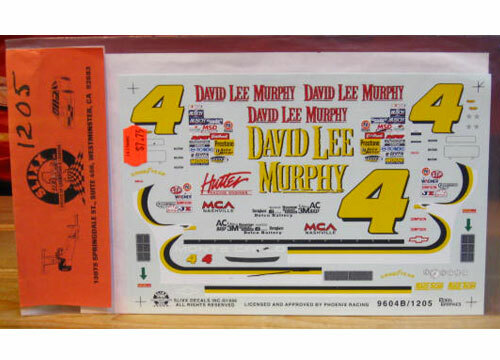 #4 David Lee Murphy Monte Carlo driven by Jeff Purvis in the 1996 season.